‘Assassin’s Creed Rogue’ is one of the free games with Xbox Live in February. Another week goes by and with it a new set of news from the gaming industry. The freezing temps this week did nothing to faze game developers from releasing great products. This week is much better than last week so let’s get into the rundown. The highly anticipated next game in the Metroid Prime series has not gotten much news since its announcement in 2017. There were lots of rumors floating around, but now we have confirmation of its fate. “Metroid Prime 4” is being officially restarted from scratch. Nintendo announced that the game was not meeting their expectations, so they brought it back to the drawing board. The company initially working on it, which was rumored to be Bandai Namco, was taken off the project and it was handed over to Retro Studios. This means the game may not see the light of day during the Nintendo Switch era, but let’s hope it does. In a big blow to Steam, it was announced that the highly anticipated “Metro Exodus” would be launching exclusively on the Epic Games Store. Anyone who has already preordered it through Steam will still have access to it and its updates, but you cannot purchase it from Steam anymore. The game will be a little cheaper on Epic due to the revenue split that they have. This is another large blow to Steam, as Ubisoft announced earlier that the highly anticipated “The Division 2” would also be an Epic Games Store exclusive. “Marvel’s Spider-Man” got a new update, bringing with it two new Fantastic Four style suits. A sleek, white and black Future Foundation suit and the Bombastic Bag-Man suit, which is just a Fantastic Four outfit with a paper bag for a mask. The one thing the game needed was more suits, as there are only 38 others. Who doesn’t love free games? Well, every month gamers who subscribe to either Xbox Live or PlayStation Plus get a host of free games. The free games for Xbox for February were announced, and they are pretty good. First up for gamers, they can download “Bloodstained: Curse of the Moon” for Xbox One and “Assassin’s Creed Rogue” for Xbox 360 and Xbox One through backward compatibility. 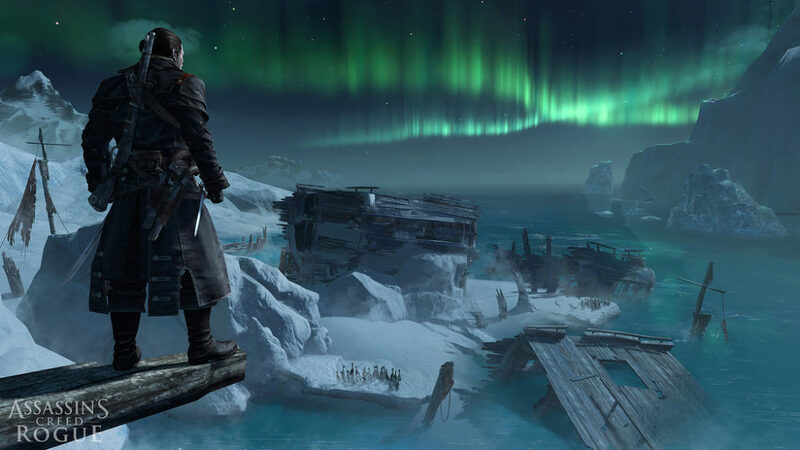 “Assassin’s Creed Rogue” takes the normal gameplay of an Assassin’s Creed game and puts you in control of an assassin turned Templar, hunting down your old friends. Then on Feb. 16, come back and download “Super Bomberman R” for Xbox One and “Star Wars Jedi Knight: Jedi Academy” for Xbox 360 and Xbox One through backward compatibility. “Super Bomberman R” is the classic Bomberman gameplay made for today’s graphics. “Jedi Academy” is an old classic that has you learn the ways of the force to become a Jedi or Sith. GameStop was pursuing a possible buyout, but has since stopped. Two companies looking to purchase the gaming retail giant have since pulled out. Hopefully this does not end GameStop. Where else would you get used games? According to rumors within the gaming industry, Sony has already started focusing on developing PlayStation 5 exclusives, leaving PlayStation 4 behind. Sony will be releasing new games for PlayStation 4 later in the year, but game development kits for PS5 are reportedly already out in the world with high profile companies already working on games for it. With Sony not attending E3 this year, gamers will probably have to wait until next year for a PS5 announcement, but they may surprise us. Every week is different, and some more interesting than the last, so look out for next week’s rundown. Next Next post: Who Cares About the Super Bowl?